Eye burning when accompanied by itching and discharge is usually a sign of an eye infection. It can occur to people of all age groups. To determine the common symptoms of eye burning, notice if your eye appears red or pink, if eyelids are swollen, there is deposit of crusts around the corner of the eye upon waking up and difficulty in opening the eye in morning due to the discharge. One might also have watery eyes, sensitivity to light, a green or yellow coloured discharge leaking from the eye. In rare cases, patients have also complaint of an ulcer, scratch or cut on the surface of the eyes. These symptoms might occur because of an eye infection, injury or an invasion by a foreign element in the eyes. An eye infection is the most common cause of eye burning that is accompanied by itching and discharge. Some people contract allergies, which can also cause a burning sensation in the eye. An attack by a virus, such as herpes simplex virus or by any bacteria, can trigger it as well. Wearing unclean contact lenses, wearing it for a longer period of time or sharing contact lenses with another person can trigger the condition. Sometimes, using expired eye drops and sharing make-up are also known to cause burning eye, accompanied by itching and discharge. Most commonly, eye burning when accompanied by itching and discharge, is because of bacterial and fungal infections. The eye doctor might advise you antibiotics in the form of eye drops. Eye Doctor may prescribe steroid eye drops to relieve pain, itching and inflammation. Eye ulcers can possibly damage your eyesight, which is why it is important to get them treated properly. We, at Eye-Q Vision Super Specialty Hospitals, understand the importance of clearing your doubts and anxieties that arise with these small issues such as eye burning and fungal infections. https://www.eyeqindia.com/wp-content/uploads/2018/12/burning-eye.jpg 503 805 EYE Q INDIA http://www.eyeqindia.com/wp-content/uploads/2019/02/eyeq-india-logo.png EYE Q INDIA2018-07-19 01:16:112018-12-21 01:21:27Know about Eye burning! Red eyes and itchy too, it may be Conjunctivitis! Pink eye, commonly known as conjunctivitis, is the swelling or redness of conjunctiva. It is a clear membrane that turns red and itchy during any viral or bacterial infection. The prevalence rate is about 7.50%. It mostly affects young adults of age group 20 and above. Pink eye conjunctivitis causes pain, watering, irritation and can rarely also affect your vision. Symptoms of pink eye conjunctivitis are redness in white part of the eye or the inner eyelid, increased amount of tears, itchy eyes and burning in the eyes. Other symptoms might include thick yellow discharge that gets deposited over the eyelashes, especially after sleep. Sometimes a green or white discharge might also be observed. Irritation by invasion of a foreign object such as dust particles or small insects might also cause pink eye conjunctivitis. A sore throat, respiratory infection or cold might trigger the onset of the disease. One should immediately consult an eye doctor if any of the signs are found in the patient and the condition does not improve within 24 to 48 hours. It is a contagious disease and, hence, can affect the ones living in the same surrounding. Early diagnosis can restrict the disease from spreading. If you wear lenses, and have any symptoms of pink eye conjunctivitis, stop the use immediately. 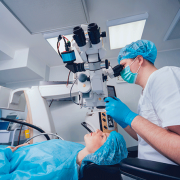 The eye doctor may advise you a number of tests in case of a severe conjunctivitis and he may take samples of your eye secretions for proper study, analysis and treatment. If it is an allergic conjunctivitis, he may advise the patient to take allergy testing. Mostly these infections are self-limiting ,but for speedy recovery and to prevent further sequelae eye doctors prescribe antibiotics , lubricants and at times mild anti allergic also. He can also prescribe you eye ointments for night application. Ointment can blur your vision for around 20 minutes after application. It is important to note that one should not wear contact lenses during the infection and keep their surroundings clean. We, at Eye-Q Vision, take extra care during examination and treatment of your eyes because we understand that your eyesight is precious. 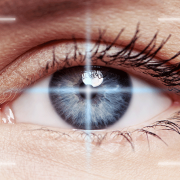 Consult our expert team of eye doctors for all your eye related problems. https://www.eyeqindia.com/wp-content/uploads/2018/12/conjunctivitis-red-eyes.jpg 183 275 EYE Q INDIA http://www.eyeqindia.com/wp-content/uploads/2019/02/eyeq-india-logo.png EYE Q INDIA2018-07-17 01:28:162018-12-21 01:31:59Red eyes and itchy too, it may be Conjunctivitis! जानिए आँखों की लेज़र सर्जरी के बारे में! https://www.eyeqindia.com/wp-content/uploads/2018/12/lasik-surgery-in-hindi.png 445 712 EYE Q INDIA http://www.eyeqindia.com/wp-content/uploads/2019/02/eyeq-india-logo.png EYE Q INDIA2018-07-12 01:34:222018-12-21 01:38:56जानिए आँखों की लेज़र सर्जरी के बारे में! 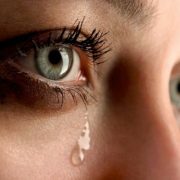 A watery eye is a condition where too many tears are produced or when the tears cannot drain away properly. The prevalence rate of the disease is 8.60%. Any person can have watery eyes; it is not an age specific condition built mostly occurs in babies and people of the age group 60 and above. There can be numerous causes of watery eyes, including problems in the eye glands that secrete an oily substance,which keeps the eyes lubricated. Sometimes the glands do not function properly, resulting in dry patches in the eye. These dry patches might produce extra tears as a reflex action. Other commonly known causes of watery eyes are: lower eyelid dropping inward or outward, making it difficult for the tears to reach tear ducts, an eye irritation or an eye infection such as conjunctivitis. Inflammation in the eyelids, also known as blepharitis, can cause watery eyes. The treatment will depend on the symptoms and causes of the watery eyes. The eye doctor will check for any blockage in tear ducts and will prescribe eye drops to control inflammation, irritation and pain in the eyes. A doctor may also carry out scans and X-rays of your tear ducts to have deeper and clearer picture of the situation. It is also advisable to not wear contact lenses when having watery eyes. The eye doctor may also advise you not to use any make-up on the sensitive skin, as it can further deteriorate the condition. If watery eyes are because of dry eye syndrome, the eye doctor will advise you take eye drops to lubricate your eyes. If it is caused due to a bacterial or fungal infection, the doctor might give you ointment and eye drops to help in the quick recovery of the eye. We, at EyeQ Vision, understand that the smallest of problems like watery eyes can bring along anxiety and concern. मानव के शरीर का सबसे महत्वपूर्ण अंग आँख होती है जिससे वह संसार की सभी तरह की गतिविधियों के साथ सुन्दरता का आनंद ले पाता है। लेकिन यदि आँख में ज़रा-सा भी कुछ हो जाए तो मानो जान निकल जाती है। आँखों की देखभाल बेहद आवश्यक है और बढ़ती उम्र के साथ तो ख़ासकर ध्यान रखना ज़रूरी हो जाता है। बढ़ती उम्र के साथ अक्सर देखा गया है कि 50 से अधिक उम्र के लोगों को मोतियाबिंद की समस्या हो जाती है। लेकिन, आखिर मोतियाबिंद क्या है?